Nowadays, there’s more and more people (especially kids) with severe food allergies. They are allergic to dairy, eggs, peanuts, nuts, gluten, you name it. It’s very hard for these people to enjoy a party that is completely safe for them. If you are a parent or a person on the same boat then learn how to throw an allergy-free party to wrap up the end of the summer!! Summer screams for ice cream! 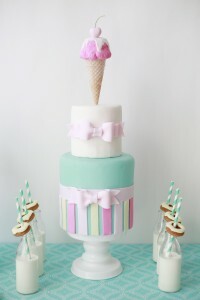 For something fun, an ice cream party is the best choice! 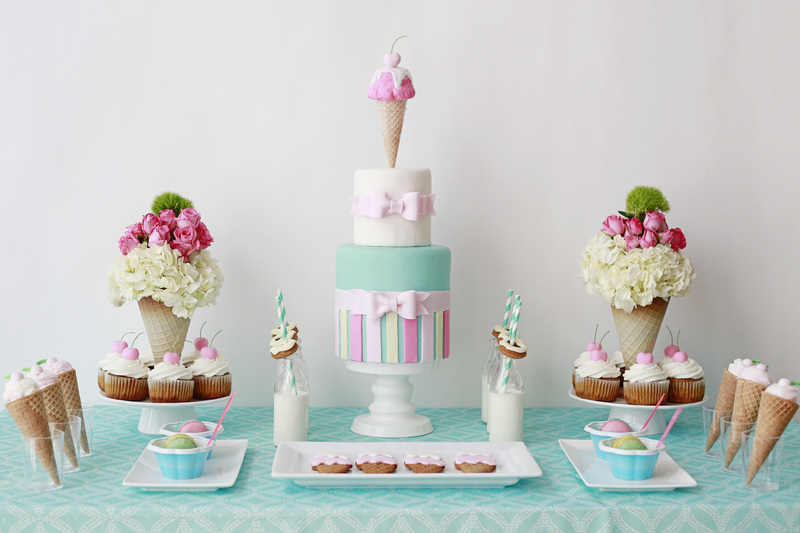 However, you can go with something more romantic like a romantic rustic garden party or even something more girly like a pretty in pink tea party. Choose a theme and start from there. 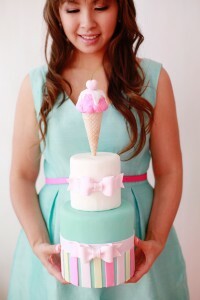 Ice cream makes everyone happy and the colors of the party should reflect this as well! Think bold pinks and pops of turquoise with hints of green! Don’t be afraid to throw in a little pattern in the mix as well. 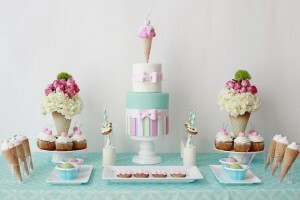 We love this printed turquoise table spread that complimented the colors of the desserts! 3. 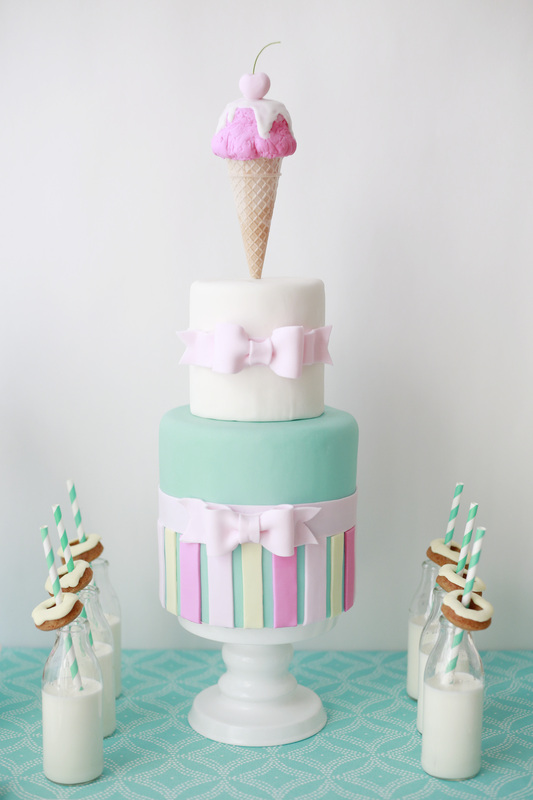 Ice cream isn’t just ice cream! 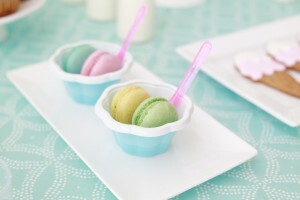 Use cotton candy as ice cream instead of a real scoop of ice cream. 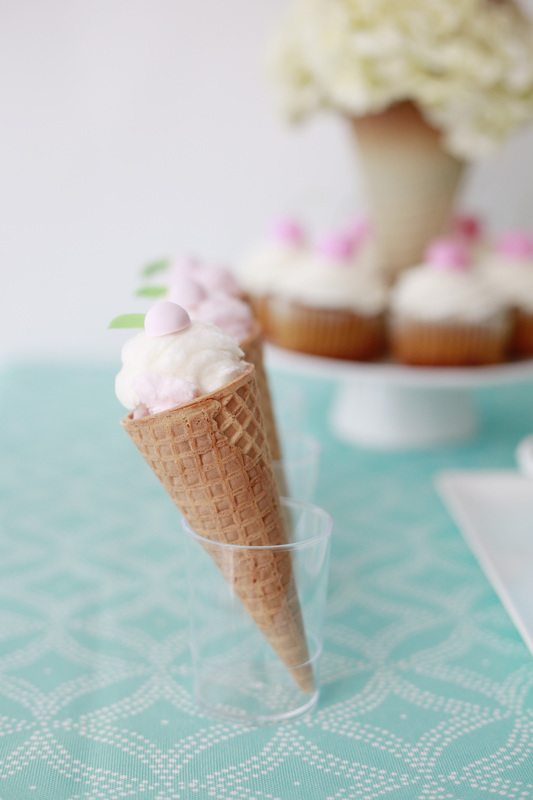 You can find cotton candy and ice cream cones that are free of the top 10 allergens at local specialized gorceries or even online. If you love to bake, make some ice cream sugar cookies, cupcakes, mini donuts, macarons and even an actual cake that are allergy free to have more desserts. 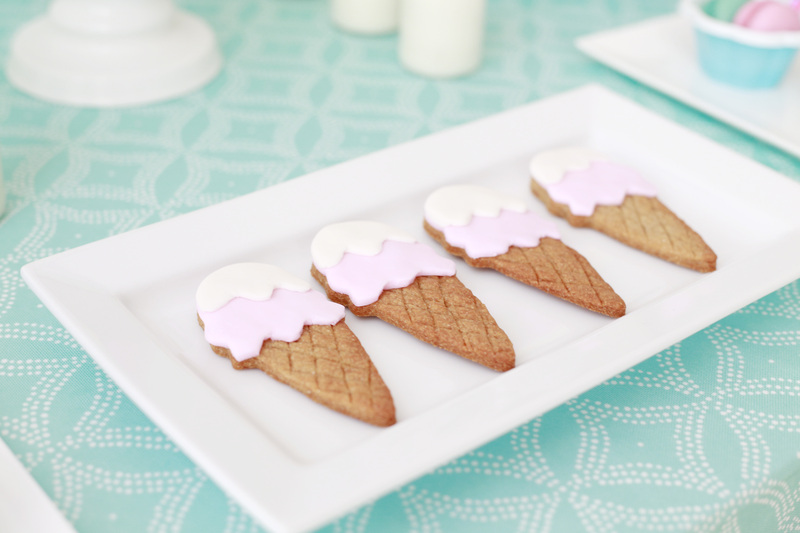 The more desserts the merrier! Our sweet table was filled to the top! 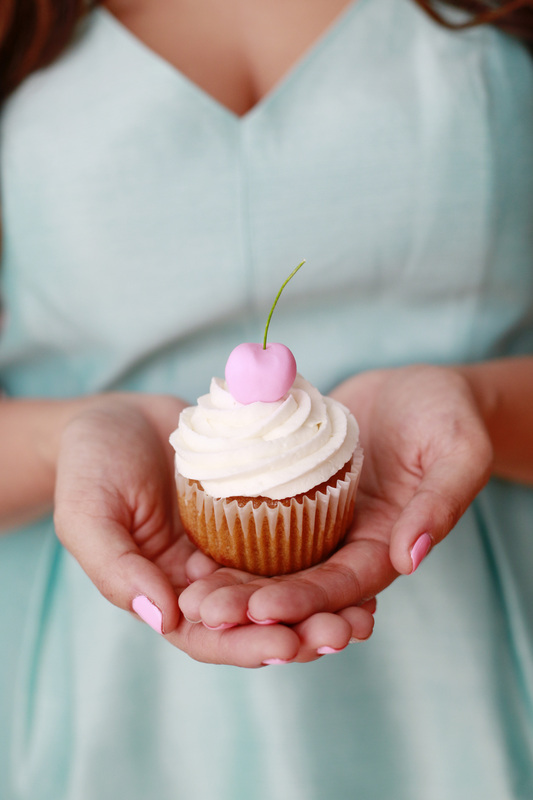 If you don’t feel like baking, order the desserts at an allergy free bakery. Milk is not a good option when you are allergic to dairy or lactose intolerance. Go for rice milk instead! It’s free of the top 10 allergens and it’s deliciously good! 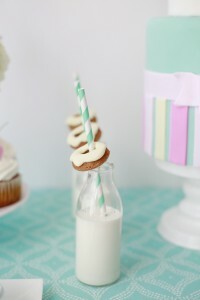 We love to drink rice milk in a glass bottle with a pretty straw and a cute mini donut! 5. It’s all about having fun without any worries! Have fun with it! Don’t worry too much about matching this with that. Ice cream shouldn’t be too complicated, right?! 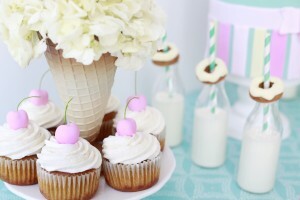 Just enjoy and your guests will too!